Oh my gosh, I hate summer. I live in Texas and our summers are brutal. Not only is it hot, but it's so humid that even a moderate 90 degrees feels like walking through a freaking sauna. The humidity makes me sweat so bad!! If I stand still outdoors, doing absolutely nothing I'll be drenched in sweat within minutes! I plan on staying indoors a lot this summer so I'll need something to do right? Well, if you're like me then you'll probably need something to occupy your time while your sitting in front of a fan sipping ice water all day. These beautiful DIY projects I found are easy, vibrant and won't break the bank! I think these would be wonderful for an outdoor party or even a funky summer wedding . 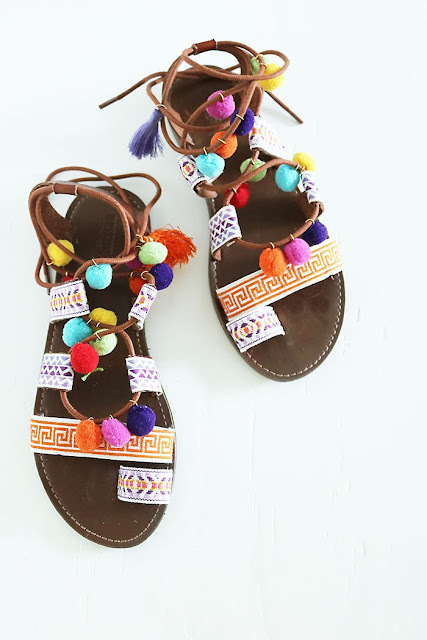 Do you have a pair of plain leather sandals that are getting a little worn out? Don't toss them! Give them a boho glam makeover! When fabric meets plain wood furniture , great things happen! 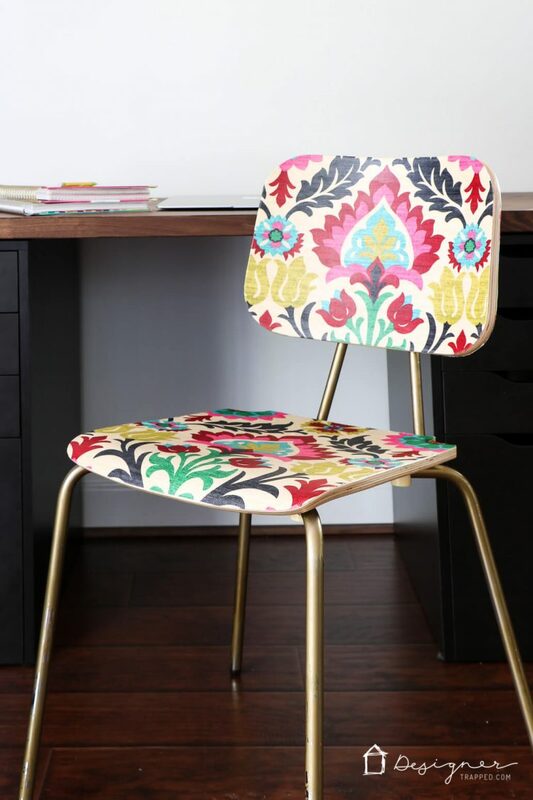 Just think of how vibrant your home will look after your fabric decoupage eeeeeverything. 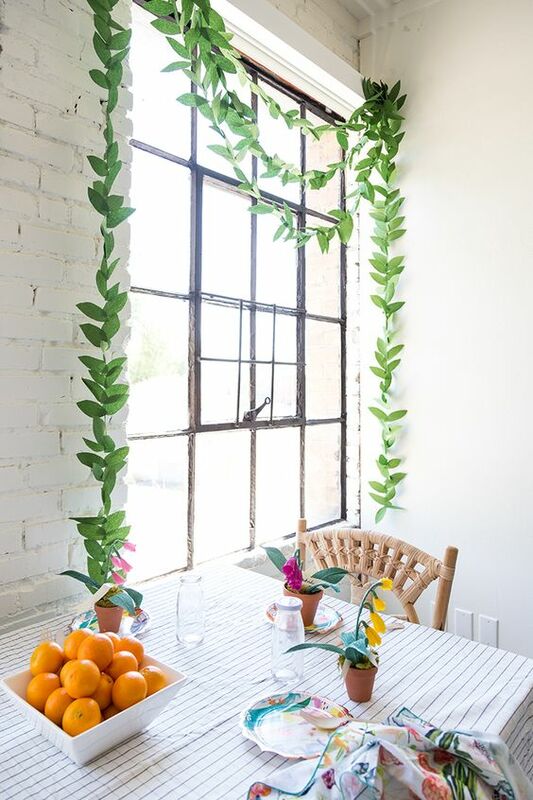 This garland would look fabulous in any room but I think this would be a great way to add color to a covered porch or sun room. 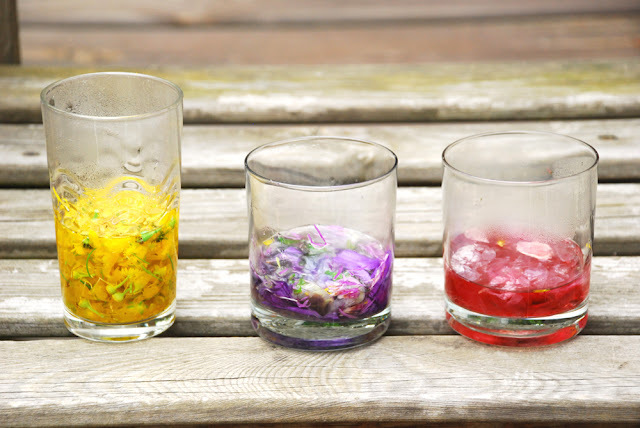 Did you know you can make ink from flower petals? I had no idea until I found this project! How romantic would it be to write a love letter in ink that you made from flowers?!?!? 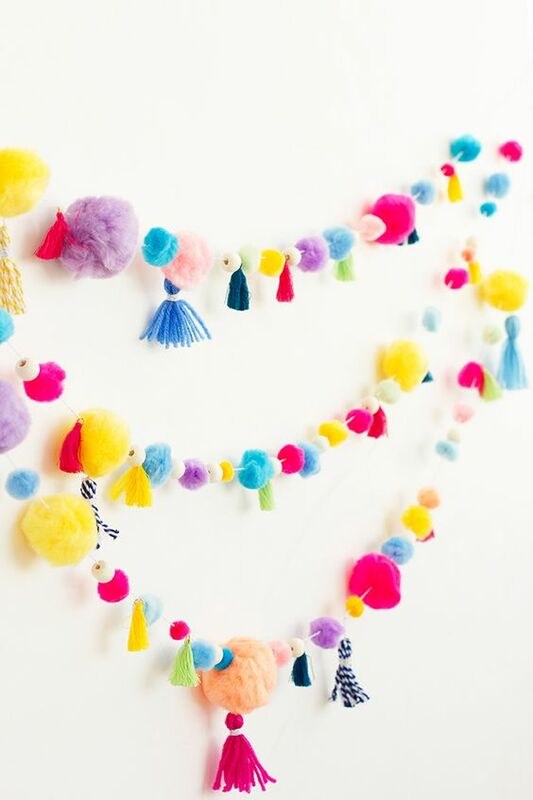 Not only would this garland make great party decor, but it would look absolute adorable as regular home decor. Turn plain jersey cotton into a beautiful work of art with highly detailed tutorial found on Brit+Co. These hanging bells would look great indoors and out. You can find similar brass bells here on Amazon . 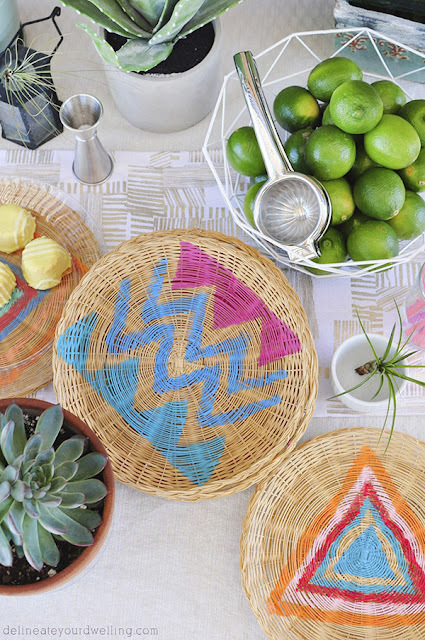 Turn a plain serving dish into a vibrant planter with silk sari ribbon . So simple and simply beautiful! If you know the basics of jewelry making then this project should be fairly easy for you. 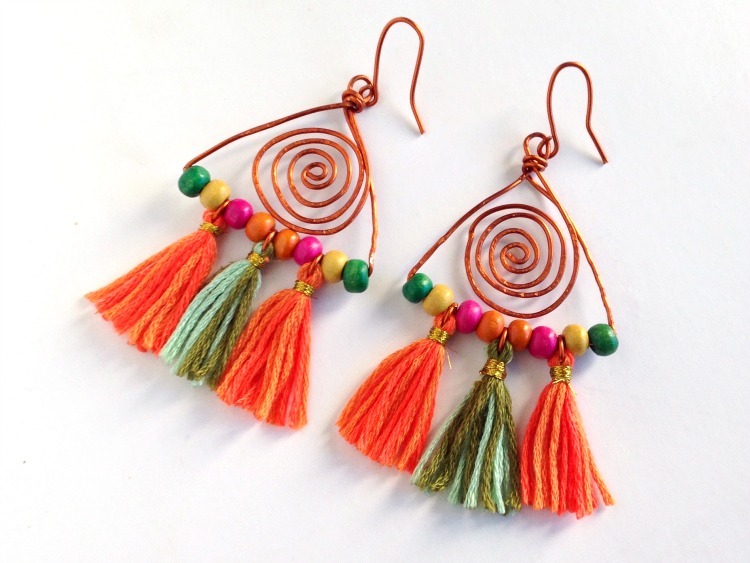 If you're not into jewelry making, this project might inspire your to get started! I'm loving the hanging bells!